I didn't want mine quite as extreme so I toned it down a bit. 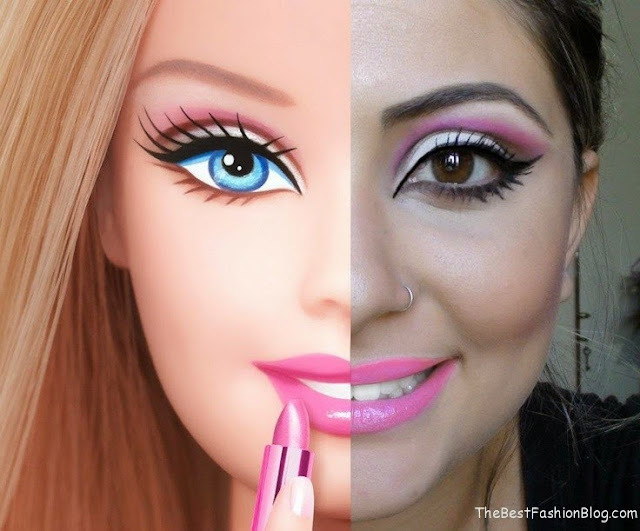 The key is the pink and purple eyeshadow in the crease and a light pink or white shadow on the lid. Plus a pink lip! I straightened my hair since Barbie pretty much has long, straight hair. 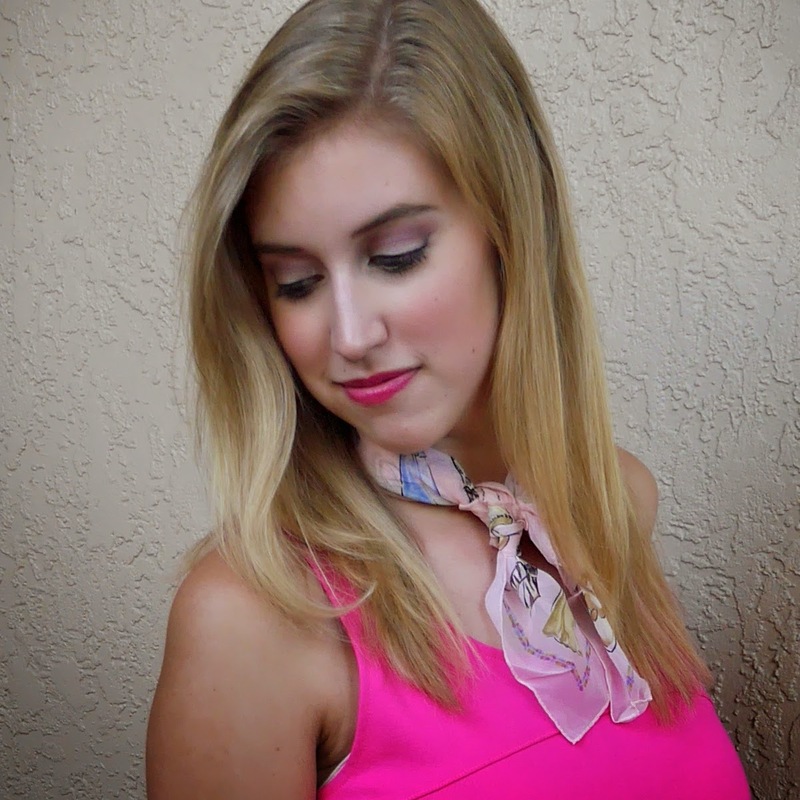 I also tied a light pink silk scarf around my neck, it just seemed Barbie-ish! My shoes were cream kitten heels. If I was not already 5' 9" I would have worn pumps, but since I am so tall I don't even own any! I think these ended up looking really great with my outfit. 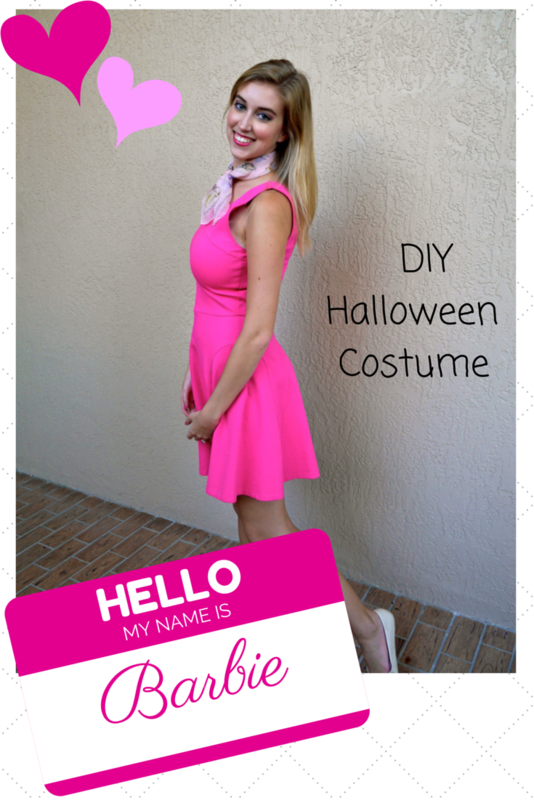 The finishing touch on this costume is the name tag! Just print this picture out, cut out the name tag and pin it on! So simple and really completes the look! We went to Mickey's Not So Scary Halloween Party (Re: free candy!) and I can't tell you how many "Awwww" and "Look! 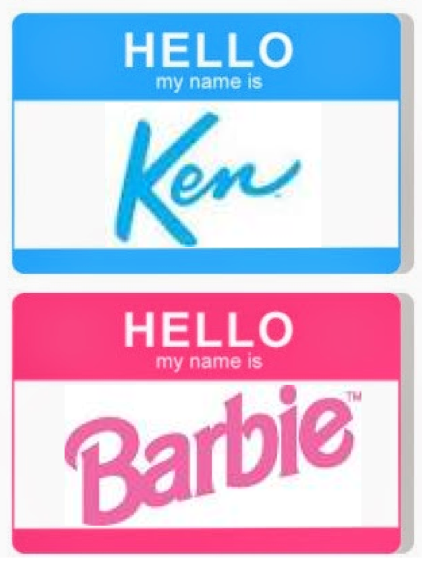 Ken and Barbie" comments we heard! Such a simple costume got so many sweet comments! Share your pics with me on Instagram! Happy Halloween!